The APC and incumbent Governor Bello are seeking reelection in next yearâ€™s governorship election. Hundreds of the Fulanis from the three senatorial zones came under the auspices of the Miyetti Allah Cattle Breeders Association of Nigeria, Niger State branch and were led by their state chairman, Alhaji Diko Shakolo. The leadership also included Alhaji Ibrahim Lapai from Zone A, Alhaji Hashimu RebÃ© zone B and Alhaji Abubakar Addau for zone C as well as a representative of the women, Hajia Fatima Bello. They stormed the state PDP secretariat in Minna where they pledged their support and loyalty and those of their members to Nasko and the PDP. The leaders also promised to support the PDP presidential candidate and former vice-president, Alhaji Atiku Abubakar. 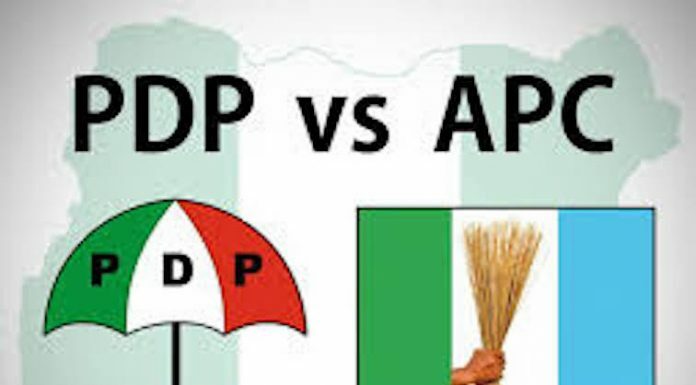 At the gathering, leaders of the Fulanis from the three senatorial zones of the state also took turn to assure the PDP and its governorship candidate, saying that they had resolved to back the PDP because the APC government in the state had failed them. Nasko, in his response to the large crowd, assured the Fulanis that instead of having a Special Adviser like â€œwe gave you in the last PDP administration, you will get a full commissioner position for the first timeâ€. In addition, Nasko assured the Fulanis that the nomadic schools opened across the state by the last PDP government â€œwhich are not operating optimallyâ€ would be resuscitated and made to function very well. He reiterated his decision to serve for a single term of four years and allow the governorship to shift to the Niger south senatorial zone in line with the zoning policy of the party in the state. The PDP standard-bearer however said at the forum that â€œthere are a large number of PVCs lying at the INEC office unclaimedâ€ and therefore appealed to their owners to pick them up for use during the election. The state chairman of the party, Alhaji Tanko Beji, in his remarks, said: â€œThe endorsement of Umar Nasko and the PDP by the Fulanis is a positive signal for us. Among the prominent personalities at the event were the gubernatorial running mate, Alhaji Mohammed Ndayako, and the Director General of the gubernatorial campaign organisation, Alhaji Abdullhai Kwatu. Are they going to vote? I hope they are not bokaharam pretending security should be on a alert!! !